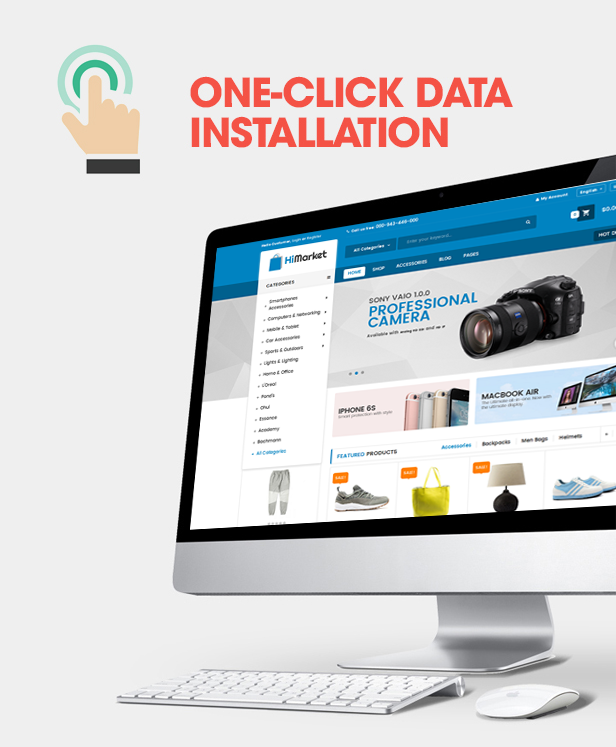 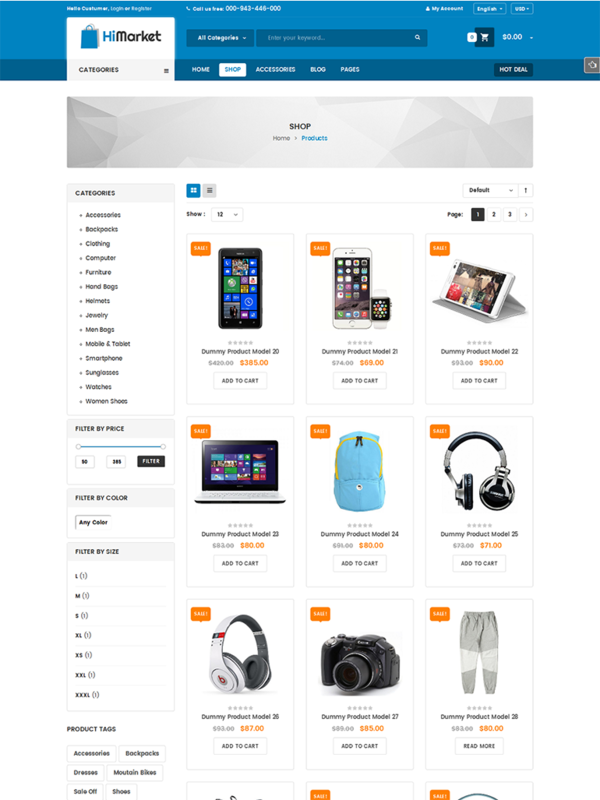 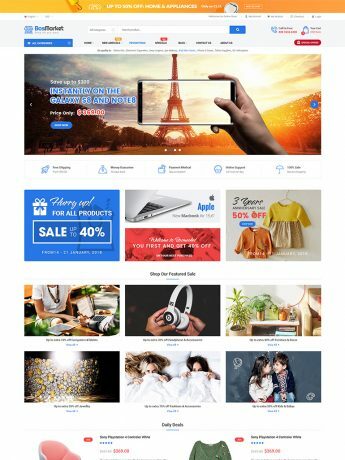 Based on latest web technology, HiMarket is really clean, easy to customize every single elements in theme. 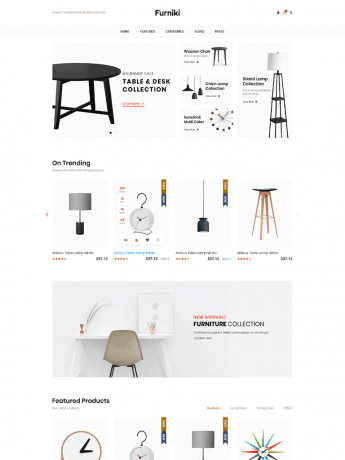 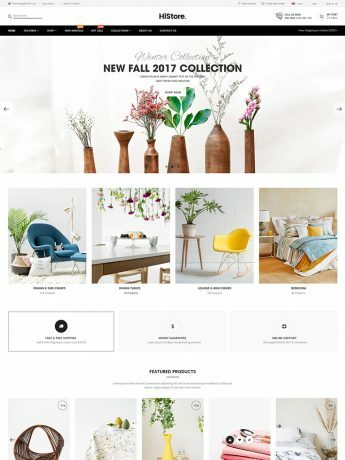 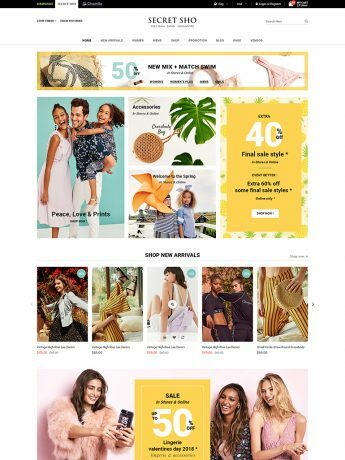 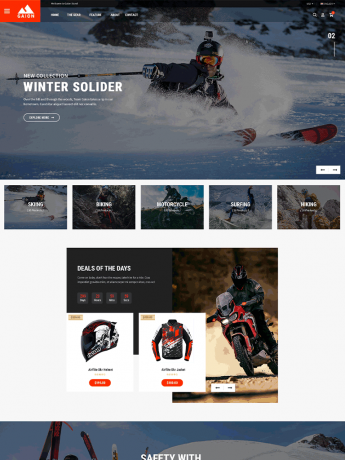 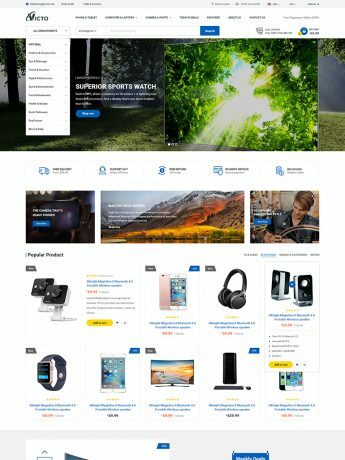 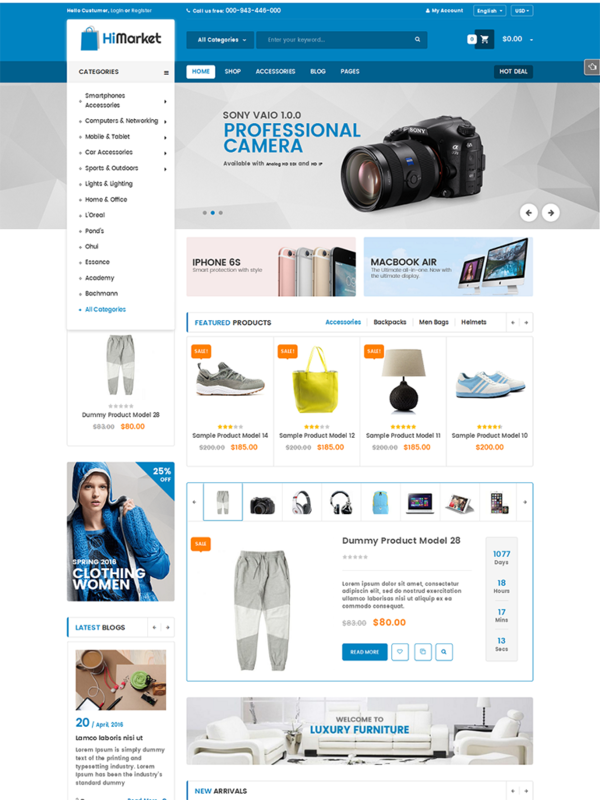 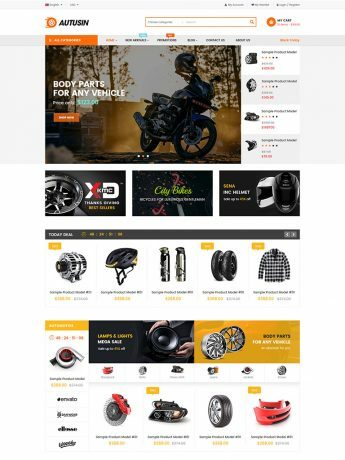 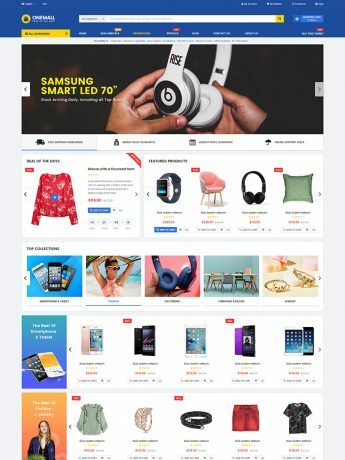 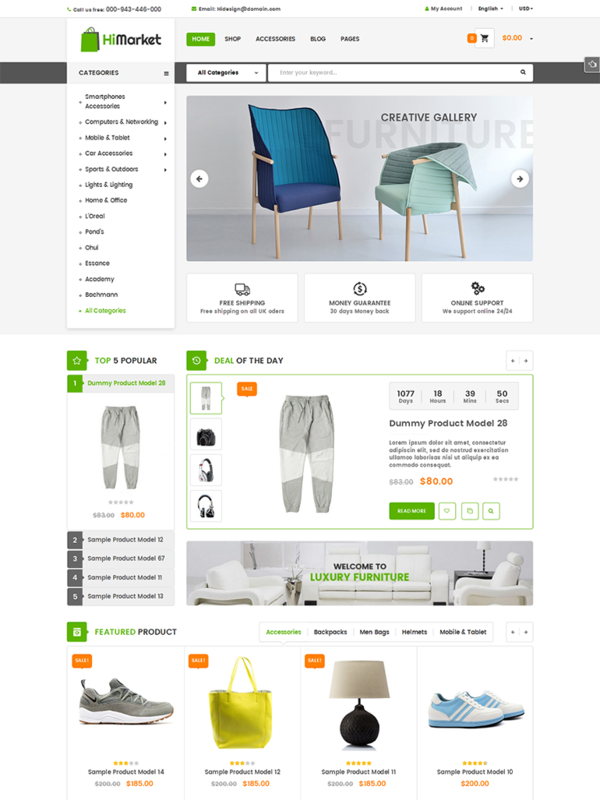 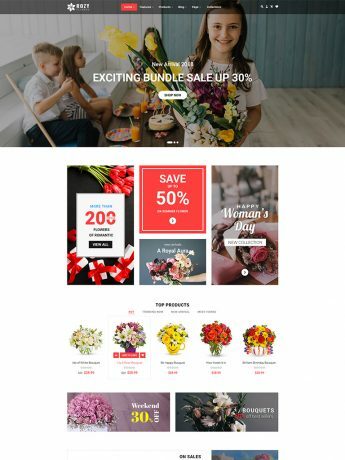 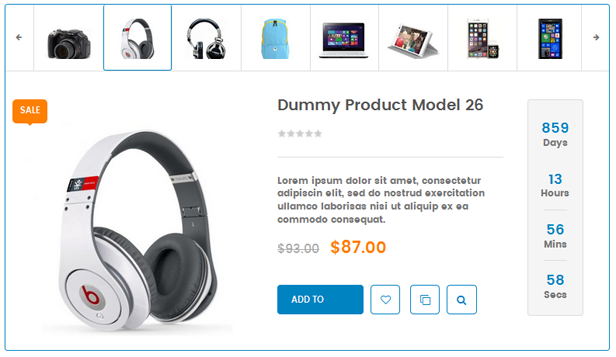 With 5 homepage layout styles and unlimited color schemes, it allows to set up a beautiful eCommerce WordPress shop in no time. 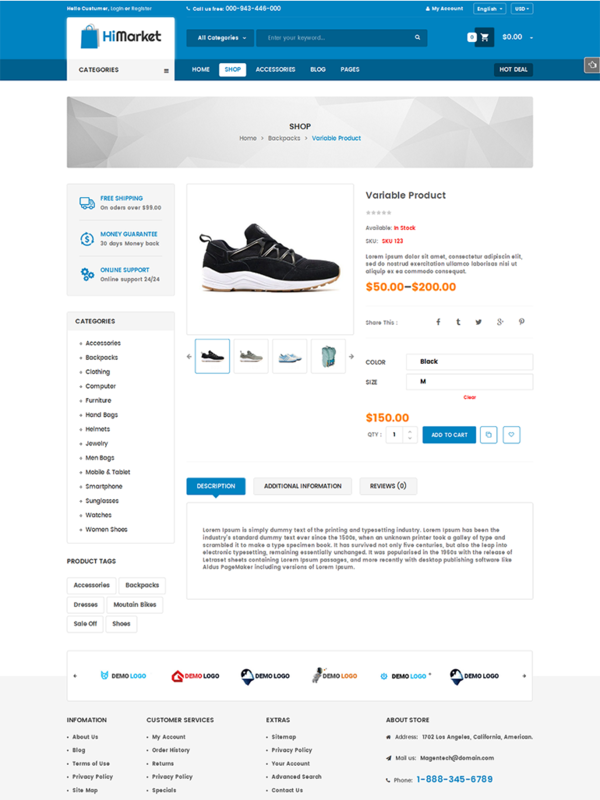 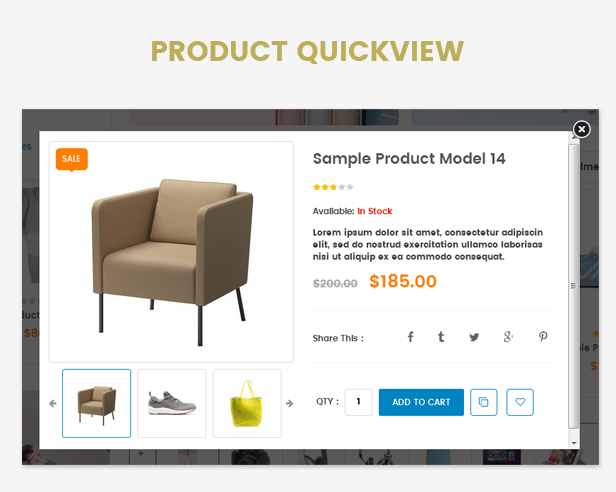 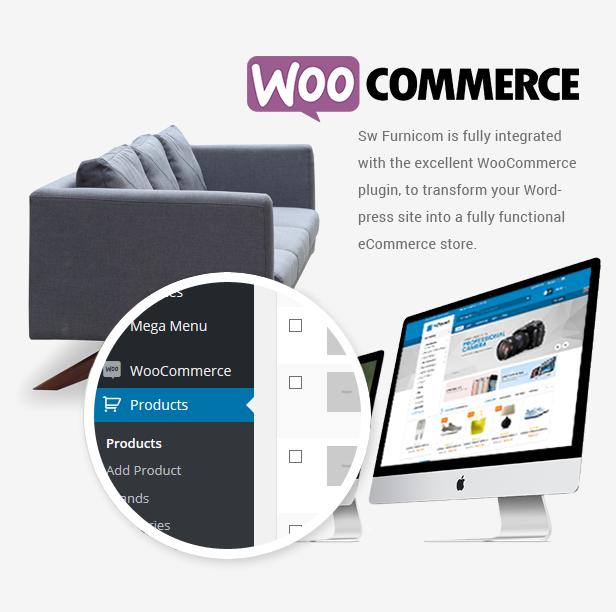 Specially, users will have usability of Visual Composer integrated, WooCommerce included and Revolution Slider supported as well. 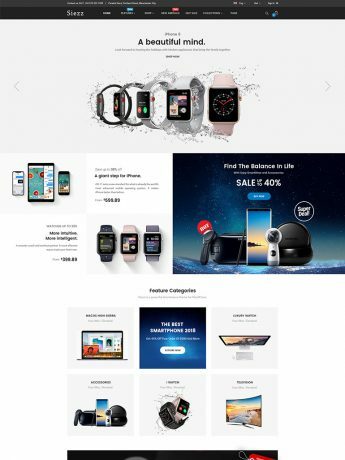 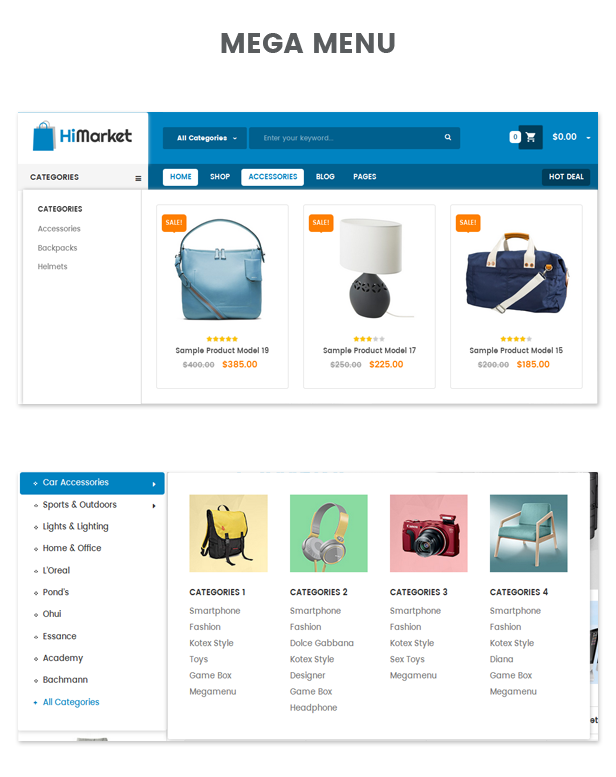 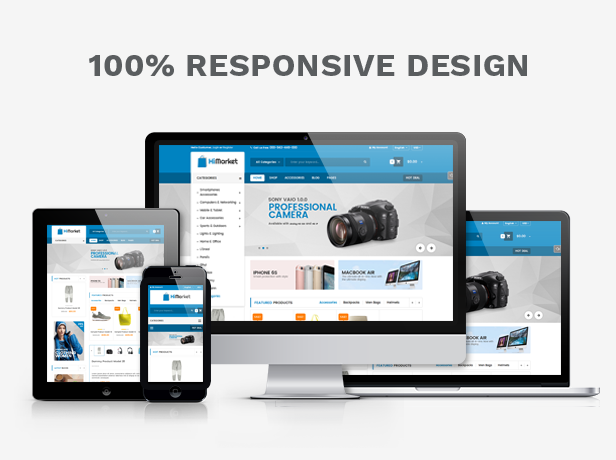 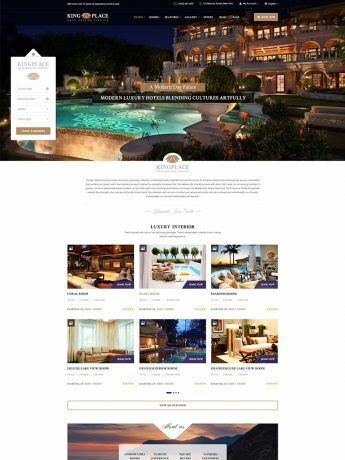 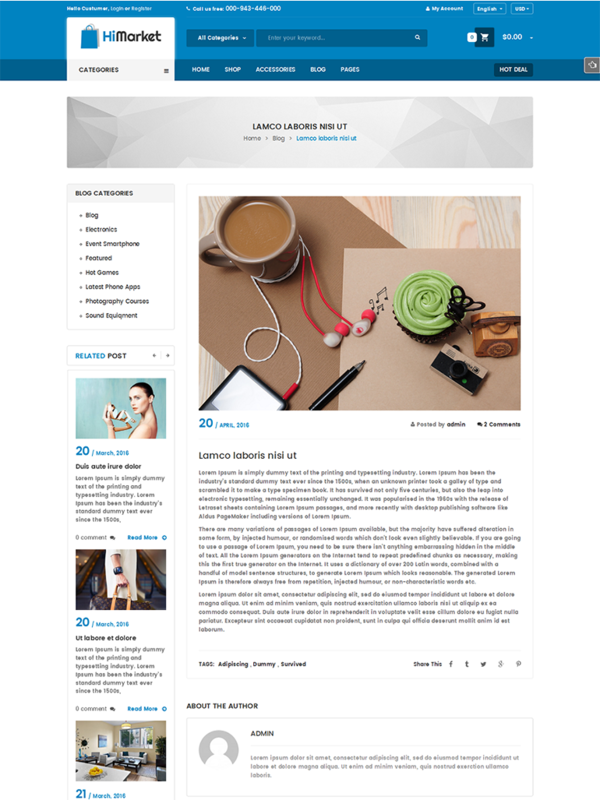 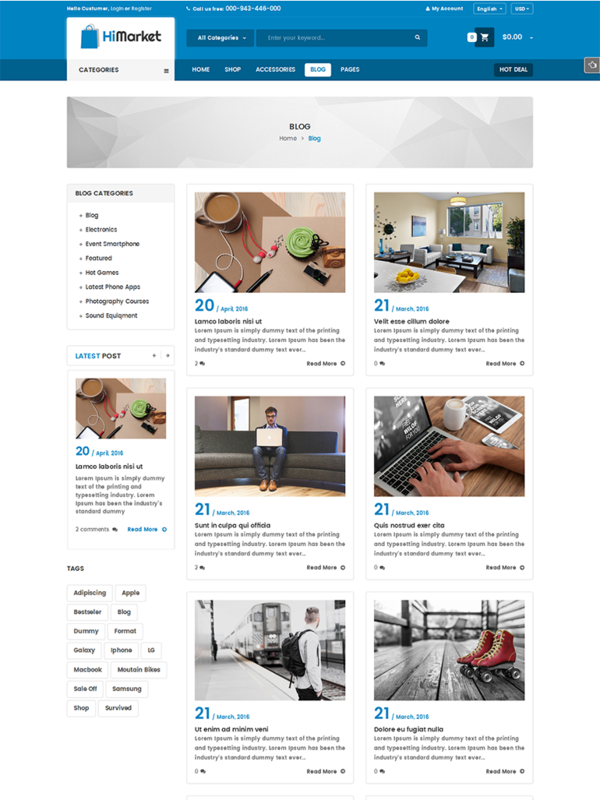 HiMarket is fully responsive and looks delightful across different devices and screen layouts as well. 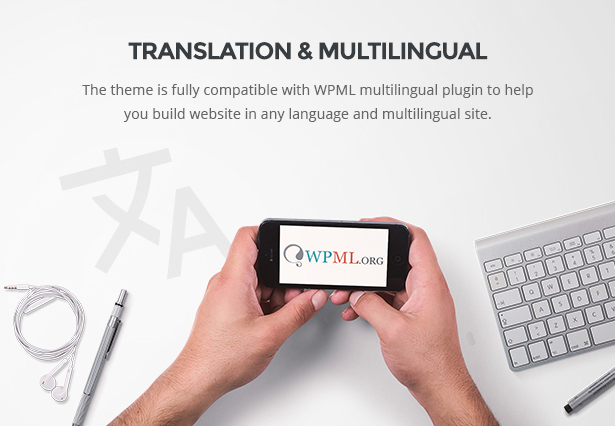 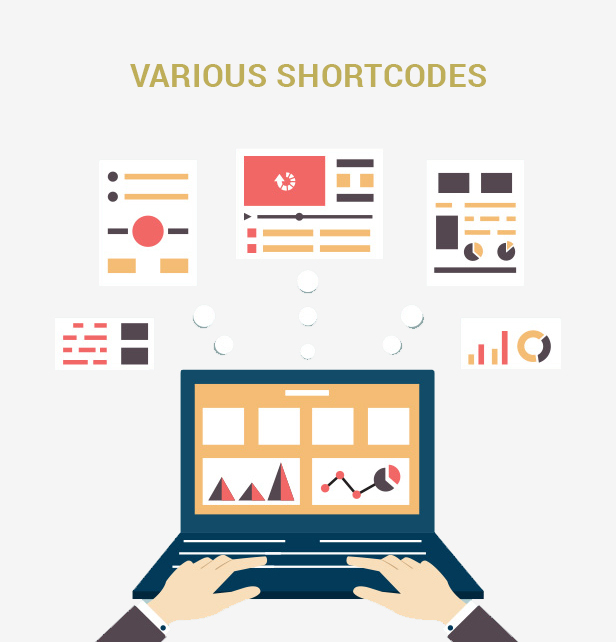 This theme not only is compatible with SEO plugins, we also use rich snippets to improve your search ranking and SEO experience. 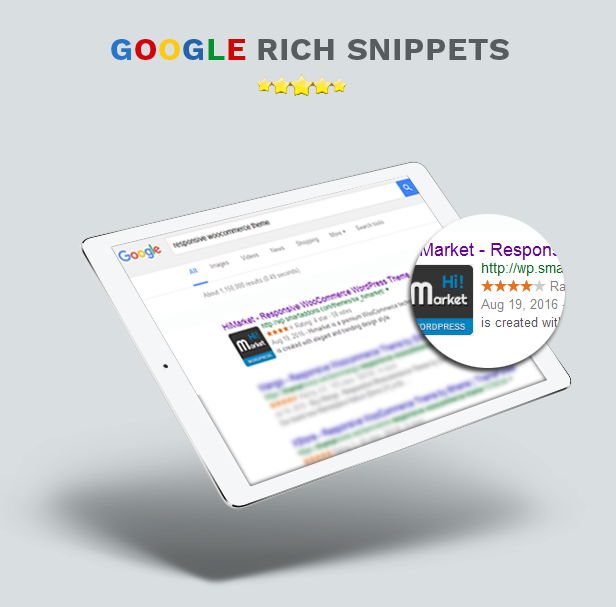 Google search engine and others can parse your recipes much faster and give you much better rankings compared with other sites without this markup.